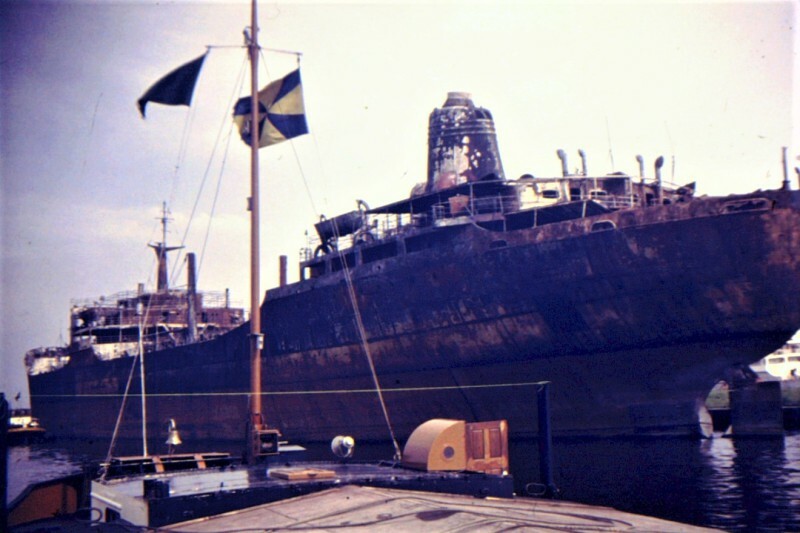 February 26 1963: collided with British tanker “Abadesa” (13,571 tons gross, owned by Furness-Houlder Argentine Lines Ltd., London) in the Westerschelde & subsequently gutted by fire with the loss of 9 lives. One report says that she was rebuilt, returned to service & scrapped in 1974. She was indeed repaired, renamed Pericles Halcoussis and traded under this name until 1972, when she became Geros. She arrived at Kaohsiung 10/09/1974 for breaking. I have added the IMO number.